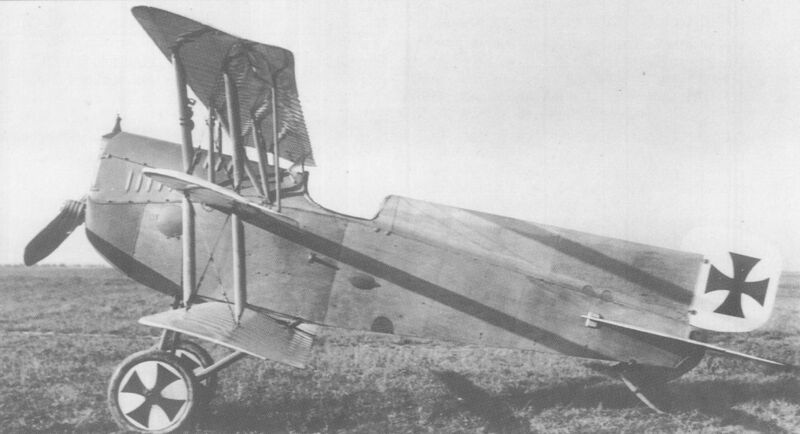 Possessing fundamentally similar fuselage and tail surfaces to the final Typ AA biplane, the Typ A (111.04) triplane was completed on 23 June 1917. 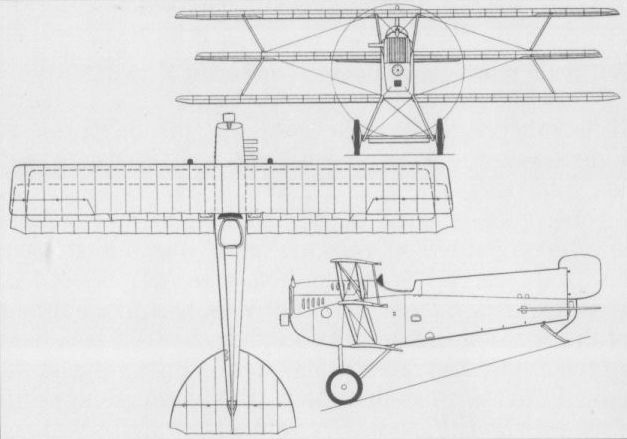 Similarly powered and armed to the preceding Lohner fighters, the Typ A had comparatively high aspect ratio wings braced by a unique canted strut arrangement. Official trials were conducted on 7 July 1917 with mediocre results, and the prototype was returned to the Lohnerwerke for modification. It reappeared in September 1917, and subsequent performance trials proved satisfactory, but the handling characteristics were poor and view from the cockpit was deemed inadequate, with the result that the programme was terminated. Max speed, 111 mph (178 km/h). Time to 3,280 ft (1 000 m), 2.8 min. Range, 221 mis (356 km). Empty weight, 1,527 lb (692,5 kg). Loaded weight, 2,041 lb (926 kg). Span, 28 ft 10 1/2 in (8,80 m). Length, 20 ft 10 in (6,35 m). Height, 9 ft 10 1/8 in (3,00 m). Wing area, 226.05 sqft (21,00 m2). Tested in 1917, the Typ A triplane was destined to be the last of the Lohner fighters. The Lohner Typ A (111.04) fighter triplane.